Another opportunity for D.C. readers: Join Axios' Mike Allen and European Commissioner for Competition Margrethe Vestager at 8am on Friday for a conversation on global competition and the impact of 5G and similar innovations. RSVP here. 1 big thing: Privacy battle heats up in D.C. The effort to establish new guidelines for the tech industry, especially on privacy, is starting to move from the theoretical realm into the practical. 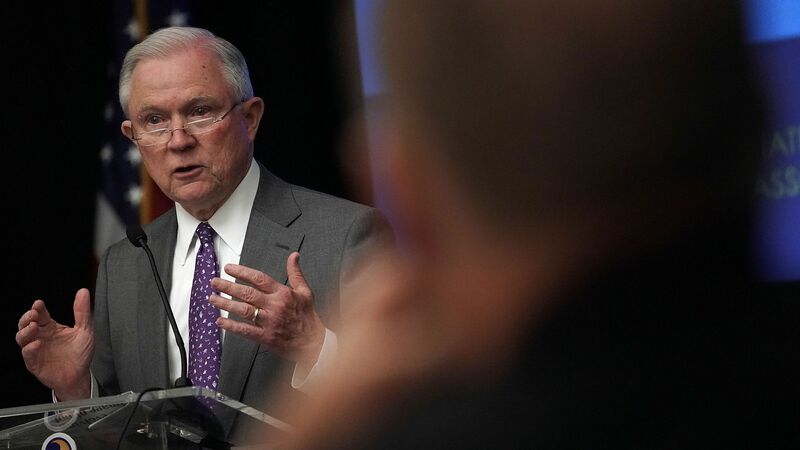 Driving the news: Attorney General Jeff Sessions and other DOJ officials met with a number of state attorneys general on Tuesday, while the Senate Commerce Committee is slated to hold a hearing today. In preparation, several tech companies and industry groups are laying out their own vision for what shape such rules should take. And the Commerce Department also asked the public for its input. At today's Senate hearing, a group of companies including Apple, Google and AT&T will call for federal privacy legislation, Axios' David McCabe reports. However, their visions for such rules have significant differences. Google will defend its ad-supported business model while supporting federal regulations, its witness, chief privacy officer Keith Enright, told us this week. Apple will look to draw a contrast with companies that need to monetize user data to have a successful business. Charter Communications will call for privacy legislation that applies both to internet service providers like itself as well as “edge” providers like the social platforms, according to a person familiar with Charter’s plans. Amazon and Twitter will also participate in the Senate Commerce Committee hearing, which comes as the panel tries to put together a legislative package on privacy. That's unlikely to occur before the midterm elections, lawmakers say. Companies are likely to push for federal legislation that preempts state rules, thanks to a privacy law that passed the California legislature this year and goes into effect in 2020. The bottom line: The California law has brought companies and policymakers to the table. Now, industry wants to shape whatever national law emerges from that process. Meanwhile, at the meeting with state regulators, the Justice Department tried — and failed — to direct attention to the issue of an alleged anti-conservative bias, while state attorneys general insisted they are focused on enforcing antitrust and privacy regulations. No one ever says "Let's see what's on Google" the way they might say "Let's see what's on Facebook" when they turn on their phones or computers. The search giant is hoping to change that. On Monday, it announced it will offer a personalized feed of stories, items and links on the Google search home page on all mobile browsers, Axios' Scott Rosenberg writes. Why it matters: After 20 years of dedication to its minimalist home screen, Google may be ready to embrace the shape of Facebook's News Feed, which holds users longer. Google's search box invited active engagement — you had to initiate the process. The streams that Facebook's News Feed popularized offer a more passive experience: Just sit back, scroll down, and click when you feel like it. Searches have a limit — they end when you find what you're after. Streams are effectively infinite — they continue until your attention wanders or your battery dies. The details: The new service, Google Discover, has been gestating under the name Google Feed. It already has 800 million monthly users, according to Google. The background: On a web that was overloading pages with attention-grabbing junk and ads even in 1998 when Google was born, the search engine made a name for itself with its pristine screen. But streams proved more popular. Pioneered by blogs and universalized by Facebook and Twitter, streams emphasized what was new. Later they delivered what algorithms determined that you wanted to see. At Google Discover's launch event on Monday, company execs referred to the new offering as a form of "queryless search" — a kind of content recommendation system that knows what you want before you tell it what you need. The bottom line: With Discover, Google will test the proposition that a feed based on deep awareness of your individual knowledge needs will serve you better than one based on social network cues and sharing — and that there are better ways to keep up on the news than Facebook. Go deeper: Read Scott's full story. Monday's bombshell was that co-founders Kevin Systrom and Mike Krieger were leaving Instagram. Tuesday's revelation was just how unhappy the pair were with Facebook CEO Mark Zuckerberg and what they saw as unwanted interference in the site that they had largely run independently even after Facebook's acquisition. The details: Frustrations, according to multiple reports, ranged from broad issues to small, but irksome slights, such as the removal of a feature that noted when photos posted to Facebook originated from Instagram. The bottom line: The big issue now for Facebook is to keep other important workers from leaving. Instagram is the key to Facebook's growth right now as usage of its core network has stagnated. Axois' Dan Primack and I talked about their exit and the impact on Instagram and Facebook in Tuesday's Pro Rata podcast. You can listen here. While things went smoothly within the walls of Salesforce's big annual conference, the company's image took a couple of hits on Tuesday. First, protesters outside of Dreamforce arrived with a giant cage as part of a continued call on the company to end its contract with the U.S. Customs and Border Protection agency. The cage was meant to symbolize conditions inside immigrant detention centers. Then, later in the day, city officials shut down a recently opened, Salesforce-backed $2.5 billion transit center after the discovery of a significant crack in a steel beam supporting the giant park that sits atop the bus terminal. Yes, but: Salesforce has already made several key moves at the event, including partnerships with Apple and Amazon's AWS, as well as last week's debut of Einstein Voice. Dreamforce continues in San Francisco and I'll be moderating a panel later today with former Google and Microsoft executive Kai-Fu Lee and Salesforce chief scientist Richard Socher. The FCC will vote on — and is expected to approve — an order that caps fees and sets a “shot clock” for city officials to approve the installation of new 5G network equipment on city property. Facebook's Oculus Connect conference for VR developers takes place today and tomorrow in San Jose. Microsoft's Ignite conference continues in Orlando. David London, who had been director of government affairs for bike-sharing company ofo, is joining TechNet to run their state policy and politics team. As first reported by the Financial Times, Snap communications VP Mary Ritti is stepping down. Ritti said in a memo to staff that she will remain on the board of Snap's newly formed foundation. Spatial design firm Moment promoted Helen Situ from COO to CEO. 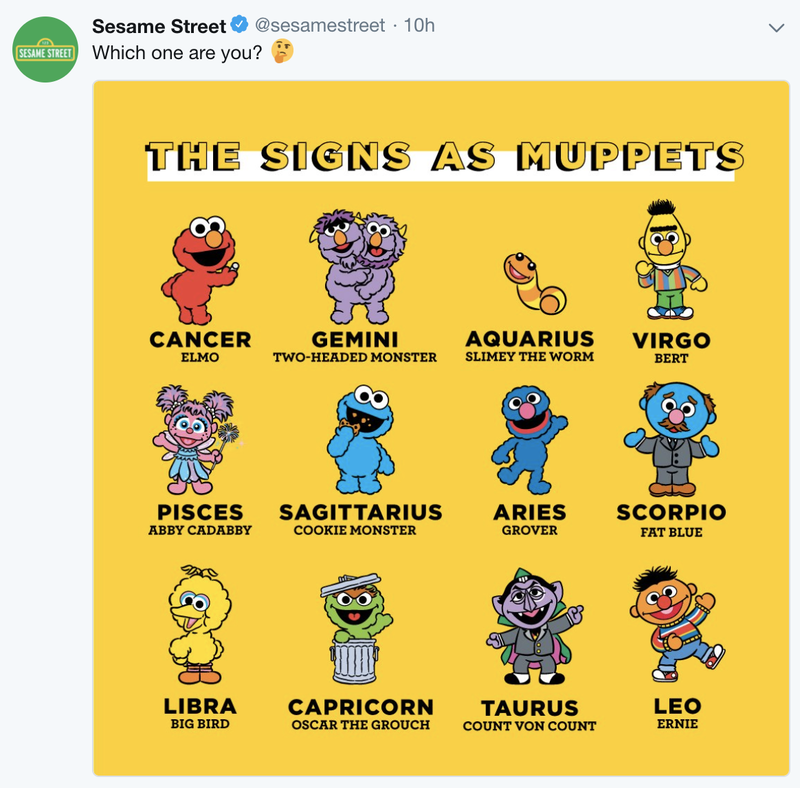 As a Sagittarius, I'm fine with this chart.